Pilots have voted overwhelmingly to approve a new collective agreement negotiated by the Airline Pilots' Association (ALPA), Air Malta and the government. "Today’s vote of approval of 90% by Air Malta pilots seals the last of five collective agreements, providing for industrial peace and productivity improvements for the airline for the coming five years," Tourism Minister Konrad Mizzi said. 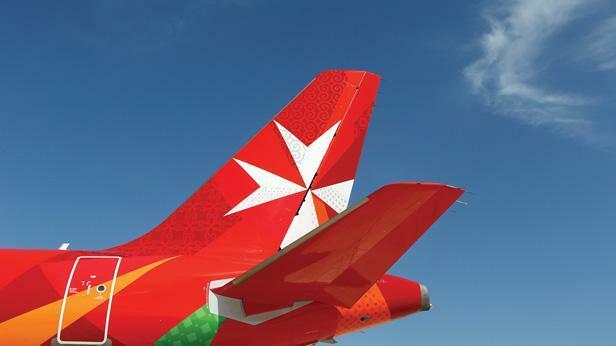 "Now our job is to transform Air Malta into the Airline of the Mediterranean." The deal was agreed last Monday in crunch talks at the Ministry of Tourism even as Air Malta started to lease crewed aircraft to beat a possible strike. No details of the deal have been announced, but the prime minister had previously revealed that the airline was offering a raise of €72,000 over five years for first officers and €105,000 for captains, but it expected them to fly for more hours as part of the airline's growth plans. The pilots, he said, currently only flew for half of the industry standard. Informed sources had said that last week's talks had focused on flying hours. The government wants to expand Air Malta's fleet and routes. Air Malta launched a new service between Catania and Vienna earlier this month. It also introduced several new destinations late last year. The government and the company have already struck new deals with cabin crews, engineers and ground personnel, introducing new work practices in exchange for higher pay, aimed at enabling the airline to grow without significant recruitment. The Chamber of Commerce and Industry welcomed the deal, saying the national interest had prevailed. It said every effort should continue to be made to avoid uncertainty in crucial elements of the economy.